"It's an opportunity to give back. We all went to school here and played on this same playground - except they didn't have all this stuff then," said Brummel. Brummel played on the new four-square courts put in this year for the students while classmate Jordan Roobol got a workout playing tag and running all over the playground. 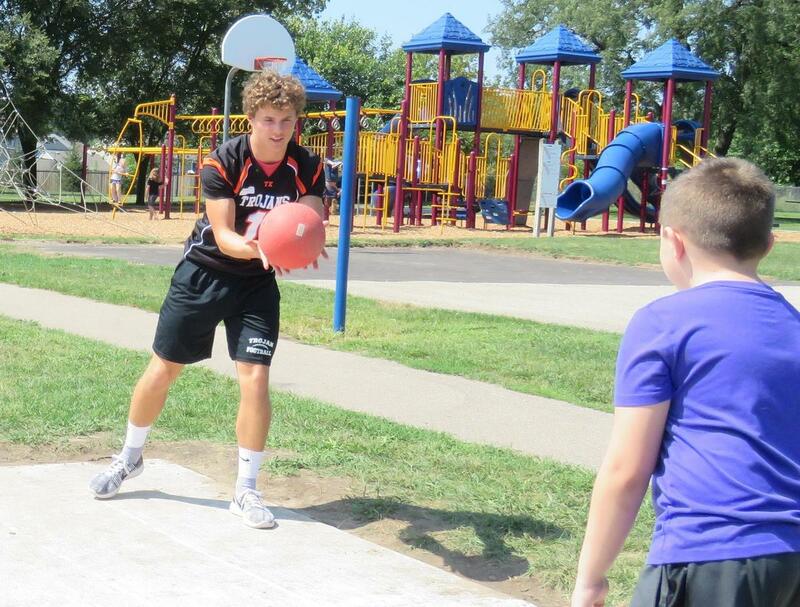 Logan Kimbrue shot baskets with a group of younger students, showing his height advantage by coming up with all the rebounds and Adam Bush tossed a football around with a group of students. 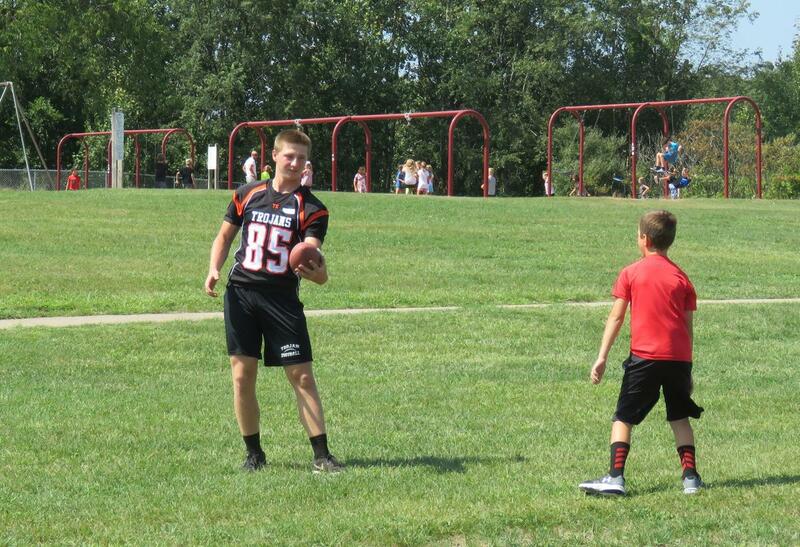 "I think it is essential to give back to the community," said varsity football coach Jeff Dock. "These guys looked up to the high school players when they were young and I want them to set a positive example for the young guys looking up to them now. 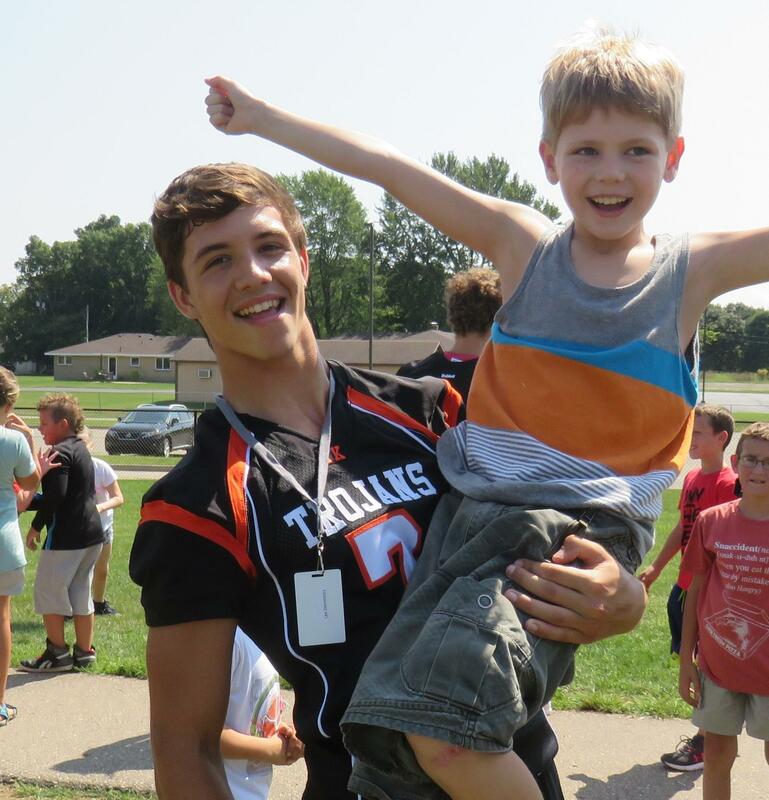 I want the elementary kids and the community that supports our team to see that we support our community." 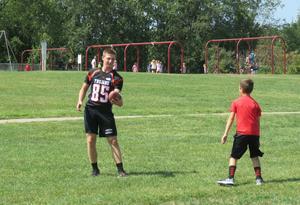 High school sophomore Alex Bonnema talked with the younger students as they waited their turn in the four-square game. When a debate started about which person was "out" in the game and no one could agree, Bonnema suggested a "do-over" was warranted. "It's just helping the community. And it helps our schools stay strong together. I like coming back here and seeing my old teachers and where I went to school. It's kind of weird, but I like it," said Bonnema. 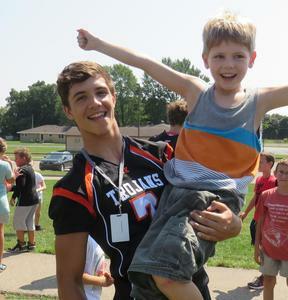 He and other high school athletes realize they are role models to the younger students who look up to them and copy their actions on and off the football field. 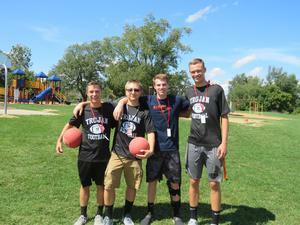 Bonnema, Reese Garbrecht, Logan Caruso and Cole Shoobridge all said they enjoyed their afternoon on the playground and look forward their leadership roles in the district. "The younger kids really seem to like it and I'm having fun too," said Bonnema.